Now 2018 is in full swing, it’s time to get real and think about what’s likely to change over the course of the next 12 months. The world of digital marketing is constantly evolving. Every business, regardless of sector, must employ a digital marketing agency to help grow their digital footprint. 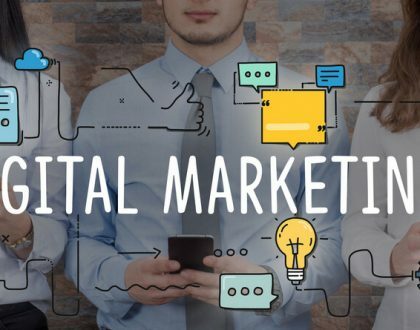 But, businesses need to understand which digital marketing trends will help them to indelibly stamp their footprint online, building brand awareness and value. Here’s a look at the digital marketing trends that we’re likely to wave a fond fair well to in 2018. For years brands were in a hurry to create as much online content as possible. Churning out an endless slew of copy, infographics, videos, how to guides, case studies, podcasts, eBooks, and just about anything that’s likely to get their brand climbing the search engines. In short, content has evolved. Truthfully, the focus on quality content began long before 2018, but this year the emphasis on creating quality, succinct content that adds real value will be greater than ever before. Businesses in Dubai will need to think about their content, and by extension their content strategy carefully. Value and purpose will be key. Thing about your blog for a moment. Does your content demand attention? Does it engage potential customers? Does it have relevant, topical information? If, not you will need to use the services of a reputable digital marketing agency in Dubai, like 3Digital to review and redesign your blog. Remember that focus and purpose drives value – this is especially true of blogging. It’s estimated that as much as 80% of content is gated. * Gated content offers information that adds value in exchange for browsers contact details. Social media sites are a great example of gated content. You set up an account, input your contact details and in-turn you get a world of content at your fingertips. 2018 is likely to see gated content online grow. 3Digital provides a digital marketing experience with the most experienced marketers at an affordable, highly competitive cost. 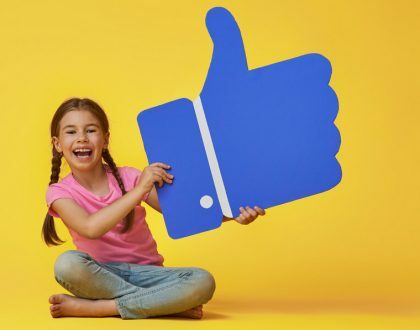 At the start of January, Mark Zuckerberg made the shock announcement that Facebook will be changing its algorithm to prioritise personal content over news. Immediately after this, his net worth fell. The assumption is that 2018 will be the year that we see less content from brands and more from people. But is this assumption true? Less organic media content is likely to have a negative effect on companies that aren’t up to speed with influencer marketing. Paid ads may rise as partnerships between brands and influencers prosper. Getting an influencer on-board to endorse your brand will be essential in 2018. In 2016, 92% of consumers factors online reviews into their decision to buy a product or service online. That figure was 88% in 2014. So, in 2018 is it unreasonable to assume that 96% of consumers will use online reviews to help them decide to make a purchase? Historically, brands used fake reviews to sell products. Consumers took what they read as gospel, and make purchase decision based on specific reviews. Then the bubble burst. Fake reviews were exposed, with search engines enforcing strict penalties against companies that routinely tried to deceive their customers. Yet, remarkably, the fake review phenomenon persisted. Today, consumers and online retailers have become savvier in recognising fake reviews. From noticing that the supposed reviewer has published multiple reviews, writing in the same tone and language to vague or oddly specific comments, having an unrivalled energetic exuberance about a lawnmower or tool set, for example, or reviews that are poorly written, spotting fake reviews has become easy. As a leading SEO service in Dubai with knowledge of all that’s happening in the digital marketing world, we expect that the amount of companies that try to influence their customers by duping them with fake reviews to decrease significantly throughout 2018, leaving only honest helpful online reviews. Pop-ups have stubbornly refused to disappear despite consumers being progressively adamant about blocking them. Most of us encounter pop-ups every single day and automatically click the close window button and tut silently under our breath. However, social media behemoth Facebook, and other websites have implemented measures to bypass ad-blocking software and change how we view ads. Those websites rely on pop-ups as lead generation tools will need to re-think their digital marketing strategy. As 2018 unfolds expect intrusive pop-ups to be heavily penalised by search engines for compromising user experience. A good digital marketing agency in Dubai, like 3Digital, will admit that special offer pop-ups can add value to certain websites, yet the degree that they compromise user experiences, click-through rates, and website engagement overwhelms any potential benefits. As the foundation of SEO, optimising copy has long been the staple SEO practice. However, as any knowledgeable SEO service in Dubai will tell you, this year we will probably see increasingly less emphasise on copy-focused SEO. But why is this? Well, the emergence on new, innovative technologies will see businesses and marketers in Dubai looking for more innovative ways to optimise their online presence. In late 2017, Google Lens were live in smartphones in the US, Canada, India and Singapore. 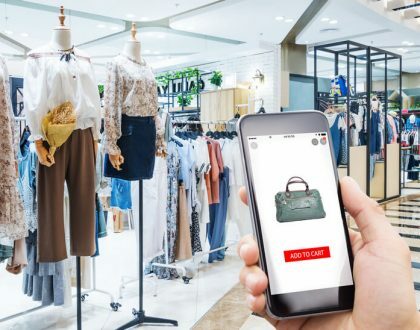 Google Lens uses a scanning feature to recognise text, identify landmarks, barcodes and offer consumers a plethora of information on a range of subjects – all you need to do is to tap the icon in the lower right-hand side of the screen. This means one thing – optimising beyond copy will become paramount. Optimising imagery will become an essential part of an effective SEO campaign in 2018. Using recognisable file names across all your online platforms and ensuring that your images capable of loading effortless across all devices will become integral. The time has come to use a knowledgeable SEO service in Dubai too make sure your business is fully optimised. What this all means is quite simple: to stay ahead of the game and firmly stamp the digital footprint of your business online in 2018, you need to use the services of a digital marketing agency in Dubai that focuses on current and innovative digital marketing practices. You need 3 Digital. To find out more about how social media marketing can help you spread the word of your restaurant across Dubai, contact 3Digital today! Perfectly positioned to grow your business, we have our fingers on the pulse of all things digital.